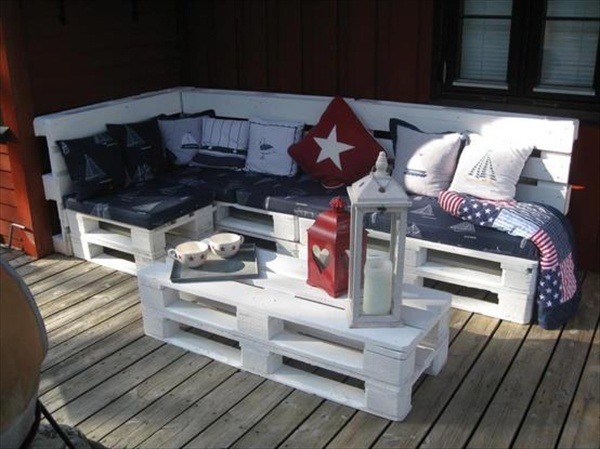 • Choose the plastic or wooden pallets which can be cut and joined together with steel plates. • The wooden surface must be sanded, painted ad dried to ensure long lasting use. 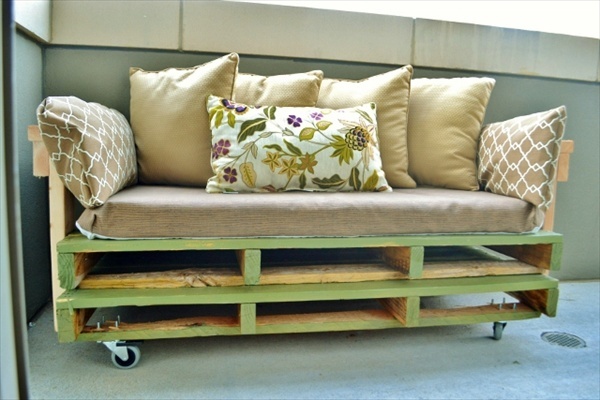 • The wooden pallet needs to be covered with leather or strong fabric before cushioning. • The furniture wheels can be added to the sofa for moving it easily. • It can then be decorated with comfy cushions and mattress. • The height of sofa can be increased through layers of cushions and blankets.